Look like an A-lister everyday with grooming go-to’s from Late Late Show stylist Jason Schneidman. Jason Schneidman knows a thing or two about a good do. Clearly, it’s paid off. 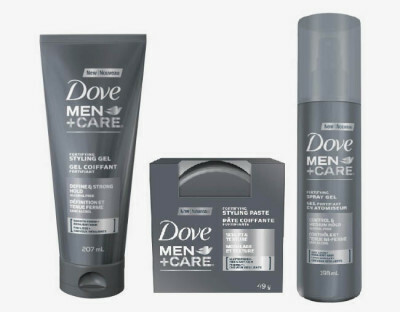 Schneidman’s newest role has him happily serving as the Grooming Expert for Dove’s Men+Care line – products from which he uses and swears by nightly to style Corden’s hair. One of which, he’s particularly fond of – the Fortifying Styling Paste ($7.49). “If I only had one to product to use for a magazine cover, it would be that,” says Schneidman. “[It’s] the perfect product for all men in terms of styling, as it can be used for short or long hair.” The Fortifying Shampoo ($7.29) is another fave of his, as it brings back any needed moisture to dry or damaged hair. Lately he’s fond of what he deems the “movie-star cut.” “It’s the perfect length: not too long and not too short. It allows you to see texture on the side and the top is the perfect length, where you can wear it over to the side or up,” he says. “It reads great in pictures, and when you put on a pair of sunglasses, you look like a movie star, I swear.” Bring this to your groomer: think Matt Bomer. Style this one up or over with a quick blow-dry, followed by a dab of Dove’s Men+Care Fortifying Paste. If your look is more classic, opt for a dab of Dove’s Men+Care Styling Gel ($7.49). 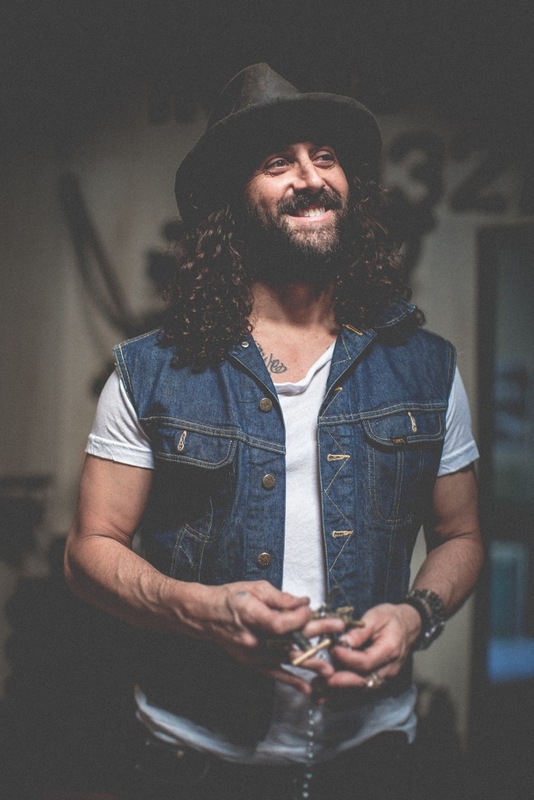 Schneidman is a fan of switching up looks, but how often should you go in for man maintenance between styles? “For men with shorter hair, they should get it cut every three weeks,” Schneidman advises. “For a more mid-length hair, try six to eight weeks. For men with long hair, they need to trim it every six months.” Tip: try thinner flippy ends on longer do’s. “It’s more of a surfer and rock ‘n’ roll look,” Schneidman adds. Speaking of man maintenance, what about facial hair? Schneidman cites a recent study that had women ranking a 10-day growth as most attractive on men. 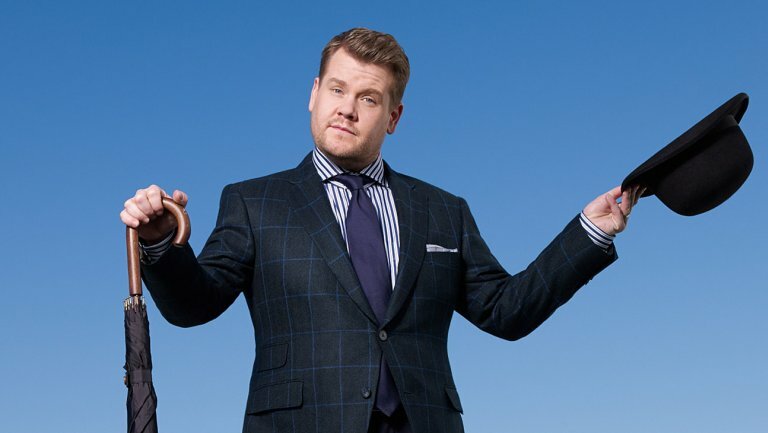 When styling Corden, Schneidman says the comedic host prefers some scruff on TV as he “feels like a 12-year-old boy with no facial hair.” Pounds chest. Feel you, brah. After 10 days elapse, use the 1-setting on your clipper and shave it down. Schneidman wowed me with his long list of go-to man-hacks, I had to share them all. Don’t forget the lip balm! 1 Swear by Visine ($1.99): A few drops quickly liven any tired or red eyes. Great on set or in real life. 2 Toilet seat covers: “There’s nothing worse than an oily guy face,” says Schneidman. Agreed! Fold up a cover and blot entire face to soften the shine and rid face of excessive oil build-up from the day. 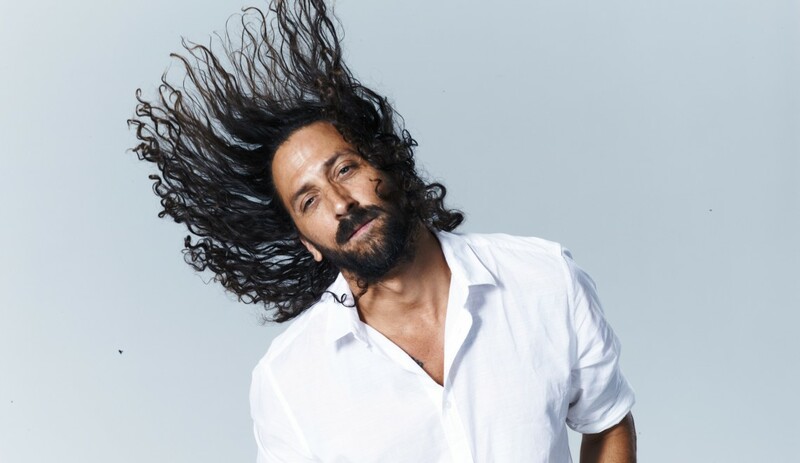 3 Don’t wash your hair everyday: Rinsing it in the shower with hot water is OK, Schneidman advises, but excessive washing strips natural oils and also tends to lend itself to less give with styling. 4 Try a dry shampoo: Schneidman like’s Dove’s women’s refresh dry shampoo ($3.99). “It’s only a matter of time they make a men’s version,” Schneidman jokes. Use it to liven hair between washes. 5 Use a moisturizer: “[Apply to face] after a shower when the door is still closed, which will [help] lock the moisture in your skin.” Opt for one with SPF to maximize results. 6 Style with Schneidman’s Men’s Groomer Small Round Brush ($30): After a blow dry, this small-handled brush leaves hair with a smooth finish.